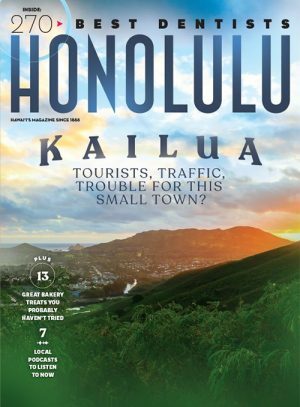 Honolulu Magazine is the oldest continuously published city magazine in North America, founded in 1888 as Paradise of the Pacific under a royal charter from King Kalakaua. Today, HONOLULU is the most trusted local source of compelling and influential lifestyle content. Each month we take an unblinking look at contemporary issues, with stories that celebrate the unique culture, heritage and lifestyle of the Islands. Every issue’s pages are filled with revealing profiles, discerning dining and cultural guides, in-depth features, informed commentary and authoritative Best-of lists.